← Hail, Hail The Celts Are Here.. Apologies for the lack of entries recently. I realise my last blog was posted in an age where 70s TV icons were on nostalgia programmes rather than Crimewatch. By way of excusing the shoddiness I should explain that of a weekend I don’t like to leave the dog in the house so until weather picks up and the terraces start appearing the scope for dining out is seriously restricted. Hopefully I’ll have some new places to add over the next month but they will have to go some to beat the new Galician place that has opened just along from my flat over the winter. I know for most of you this is a bit off the beaten track but if you are staying anywhere near Pl Espanya or you have a morning wandering around the Olympic Stadium then dropping down here is well worth it. Their tapas menu looks very impressive but as I am almost tired of saying the best value in this place (and almost every other restaurant in the city) is to be found on their Menu Del Dia menu. 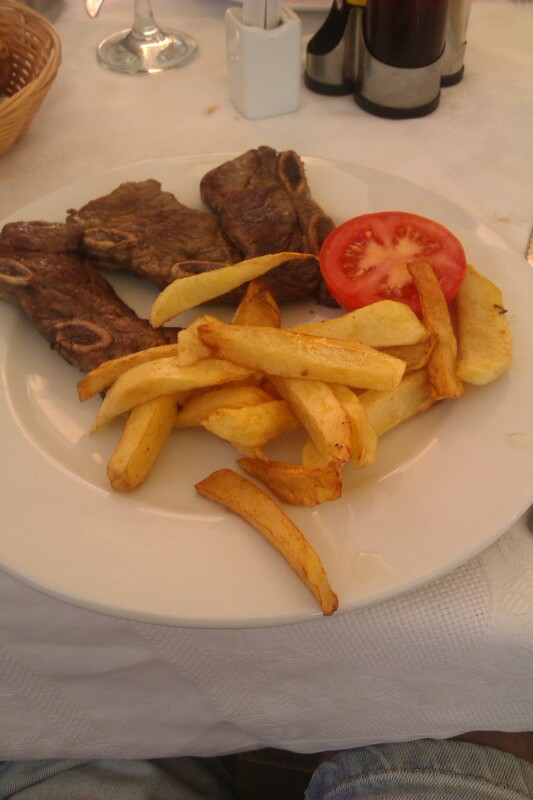 On the weekend the menu is 12 euro which, although a little higher than some is still great value. 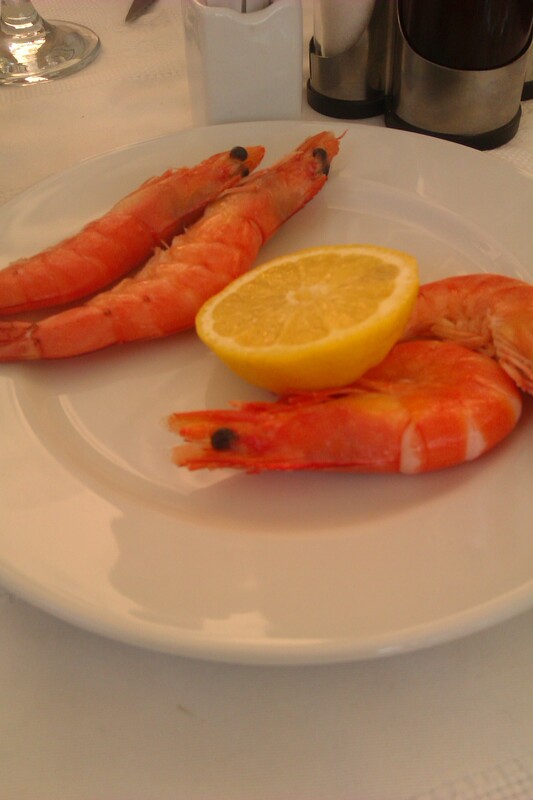 One of the little things I liked was that after they have taken your order we were presented with a little shot glass of tomato juice and a small tapas which is normally calamari or, last time I was there, a wee plate of yer prawns . 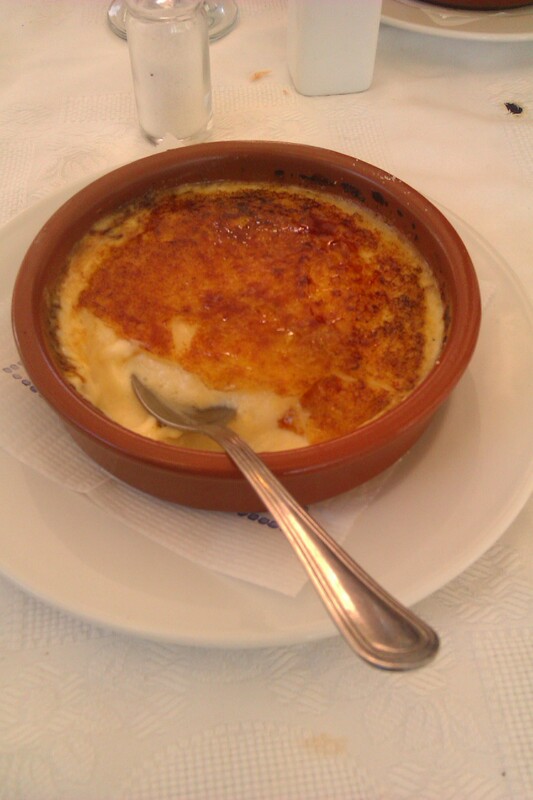 For afters I had the Crema Catalan which was bloody magic. A lot of places make it both too sweet and thick but this was just the bloody business and was polished off in jig time. You’ll recall the meal started with the nice touch of the tomato juice and prawns, well it finishes with an even nicer touch. 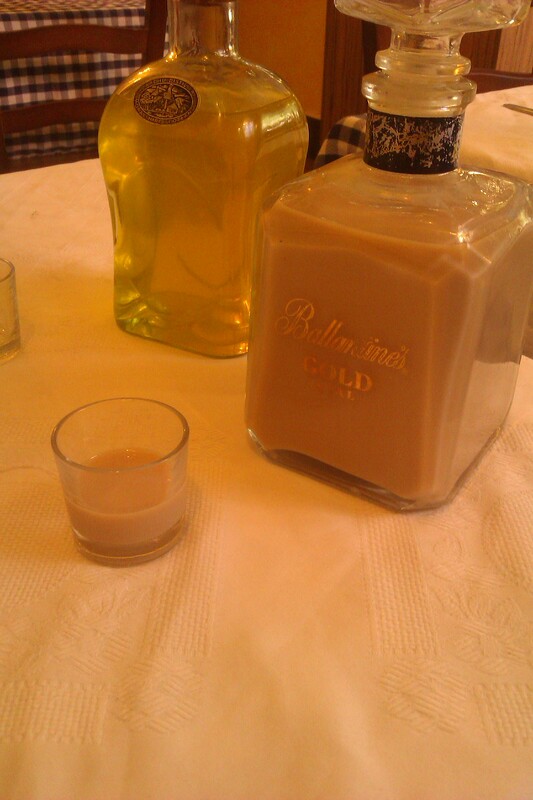 You are offered a digestif and this is their own homemade Baileys and in “this would NEVER happen in Glasgow” style, they just leave the bottle on your table. 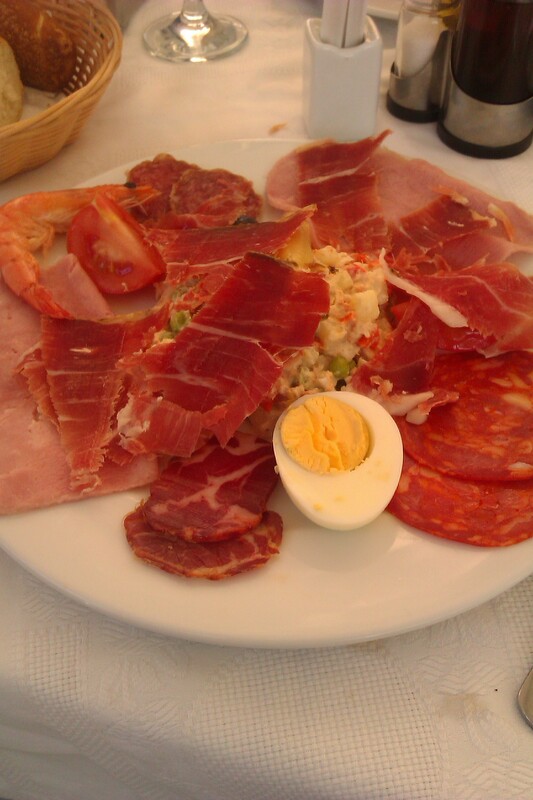 So there you have it, I’m back on familiar territory, recommending a menu del dia for much cheapness. I may be a one trick pony but if you are in the city and you are trying to keep an eye on the money but don’t want to feel like you are being a miserable tightarse then it’s a good trick. This entry was posted in Cheap food, Pl. Espanya, Uncategorized. Bookmark the permalink. 1 Response to It’s Been A While…. About time you reappeared, missed the food updates. And just spent four days in Glasgow on a stag do. Cracking time had.